Questions around big data have received notable attention lately, from a wide range of actors and across sectors. In this post, Carla Bonina explains an on-going LSE Tech research on big data and new business models in the financial services that has been sponsored by the Research Councils UK’s programme Nemode+. If you’re in the financial services sector, or doing work on big data with potential applications for finance, do get in touch with our team to know more about how to get involved in this pilot. There are growing expectations about the potential economic value and innovation that may emerge from big data. The financial services sector has been traditionally a data-intensive industry. Even so, the age of big data has opened a new landscape for emerging businesses based on cutting-edge technologies: equity platforms based on crowd funding, new platforms that match lenders with borrowers in innovative ways, data visualisations tools to follow companies, suppliers and clients, and a whole range of new payment systems based on mobile and cloud technologies. These game-changing players include early innovators as well as established financial players who provide big data-related services that are disrupting the traditional financial markets. Earlier this year, we have embarked into a new, exciting research project that focuses on these issues. In June 2013, we held an LSE workshop on big data and new business models with a special session on the financial services. With the presence of key players of the industry a nd academia, we discussed potentially disruptive innovations in financial businesses and examined how new business models find access to the incumbent players in the sector. In August 2013 we started a pilot research project that has received a grant from the RCUK Nemode+ network. Our pilot research will provide insights into new and innovative data-driven business models in the sector. Using a systemic approach, we seek to answer a simple yet very powerful question: how is big data transforming the financial services sector? Our aim is to understand the main components, evolutionary patterns and emerging dynamics of Fin-Tech businesses as well as how big data access, transformation and consumption are enabling this to happen. Although for this pilot research we focus exclusively on the financial services, we seek to explore what patterns and business models may be common to other sectors, such as media, health, advertising and utilities that are trying to create and exploit value from big data. Are you a Fin-Tech company? We want to hear from you! We are conducting a series of intensive case studies with UK companies in niche areas of the financial services sector, including crowd funding (i.e. the CrowdBnk), peer-to-peer lending (i.e. 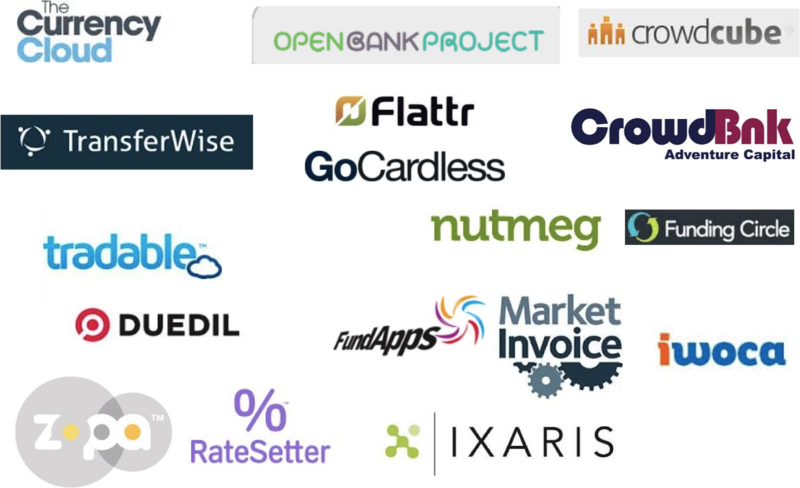 RateSetter), innovative payment platforms (i.e. The Currency Cloud) and novel open banking applications (The Open Bank Project), among others. If your company is doing work on this area, and you’ll like to take part in our study, please get in touch! You can contact me by email to know more about this project and in what ways you can get involved. Results for this pilot are expected by Spring 2014. Do get in touch with us if you want to know more about our research in this area. This research is a 6-month pilot project that is being undertaken by LSE Tech, a research initiative led Dr Jonathan Liebenau at the LSE’s Department of Management, active in the area of innovation and technology management. Together with Jonathan, LSE Research Fellows Dr Carla Bonina and Dr Silvia Elaluf-Calderwood are in charge of this project. We gratefully acknowledge the sponsorship from the Research Councils UK’s Digital Economy programme Nemode+ to conduct this pilot research. This article gives the views of the author, and not the position of the London School of Economics. Dr Carla Bonina is a Research Fellow at the LSE Department of Management. Her research interests focus on thinking critically about open data and open government, big data, and value creation and appropriation in the digital economy. She holds a PhD in Management from the LSE. Carla is the founder and managing editor of the LSE Network Economy Blog. This entry was posted in big data, business models, Carla Bonina, Cloud computing, digital economy, FinTech, ICT, innovation, internet, LSE Tech, mobility, Nemode+, policy, regulation, Research, social media. Bookmark the permalink. Great post Carla! You can only predict that 2014 will be even a bigger year for financial organisations to grasp huge chunks of data to play the advantage game. With the increasing innovative technologies which are emerging, will only make this easier. However is this an advantage to the end consumers or is it a disadvantage? Thanks for your comment – that’s a good empirical question. My own opinion is that these innovations may bring benefits to consumers, especially in the retail banking sector. Either because they’re able to grow and bring competition or because they will put pressure to innovate to some banks that have been quite reluctant to do so (for diverse reasons). The upcoming changes in regulation will also pose interesting dynamics – we shall see a bright future for modern finance.